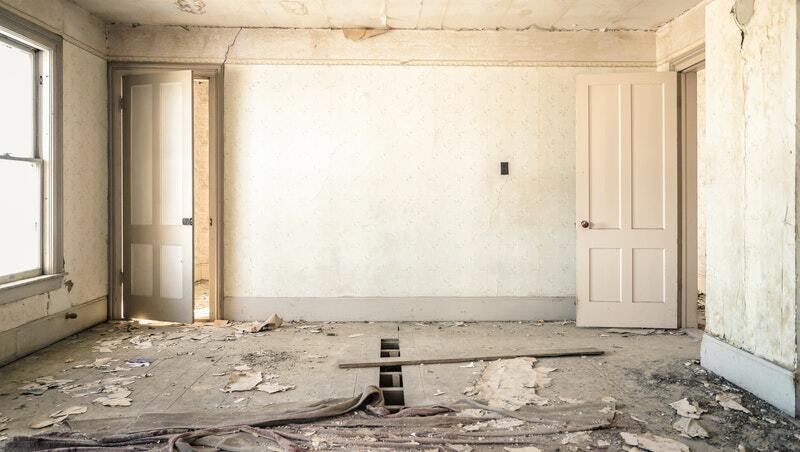 In a time when home remodeling shows like Fixer Upper and Property Brothers rule the airwaves, many homeowners unknowingly adopt unrealistic expectations of the home renovation process. These shows are entertaining and can even be educational, but they are not an accurate depiction of what goes on behind the scenes of a total home transformation. So what should you expect if you decide to take the remodel route? 1. Type of Renovation: Remodeling an investment property is one thing, but if you’re remodeling the home you live in then your first course of action should be deciding where you’re going to stay! On tv shows the families always seem to stay in the current home until the remodel is done, but not everyone can afford to buy and remodel before they sell. If you’re not doing a whole-house remodel then there may be a room you can camp out in until the rest of the work is done, but keep in mind that there may be days when things like water and electricity are sporadic or non-existent. Also, there will be dust; if anyone in your family suffers from serious allergies or asthma you may want to invest in an air purifier for your temporary room. If you are touching every surface of your home with the remodel and there isn’t anywhere to hide out, you’ll need to consider if you can stay with family and friends or if you need to include a significant rental budget into your total costs for an Airbnb or extended stay hotel. 2. Expenses: Picking out and pricing new flooring and finishes is fun and easy enough, but throw in the cost of demolition and labor, paying for permits, dumpster rental, padding for unexpected complications and general contractor fees and things start to add up! When you interview contractors and ask for bids, make sure they give you itemized cost estimates and allowances for every part of the project so you can get a clear picture of your expenses. If you’re performing most of the work yourself you will save a lot of money on labor and contracting fees, but expect to make up the difference in extra time it will take to complete your project. 3. Positivity Goes A Long Way: This is no secret, but remodeling a home is not convenient. However, if it’s something you have the opportunity to do then chances are you’re doing okay in life and it will all be worth it in the end. Instead of focusing on the inconveniences of not having a kitchen or being covered in dust all of the time, try to be thankful for more opportunities to have fun dinners out with your family and an excuse to take a break from vigilantly cleaning the house every Saturday. In home remodeling and in life, often the things that have the potential to make us the most crazy are the greatest gifts of that season.